We can't give you a quote from Sebastian Man and Van - 02036219481 , but we have hundreds of drivers waiting to offer you a great price. Have a question for Sebastian Man and Van - 02036219481 ? No problem, send them a message and they'll email you back as soon as possible. If you have a more general question you might find it answered in the FAQ, or you always contact one of our brilliant customer service team. * Sebastian Man and Van - 02036219481 won't be able to see your email address. Small delay due to traffic, but I was kept informed. Some damage to a neoprene matt for the couch which was being transported. Whilst not a big deal, it would have been good to be informed of this. Hence the 4 stars. No complaints otherwise. We had a driver and a helper who were really good, they were friendly, efficient let us know when they were going to be 5 minutes late. Would definitely use them again. Thank you!! No harm no fuss and very professional! Driver was a bit late but they were very quick and professional and finished the job on time. The van delayed for almost two hours. They didn't even call to inform us about this delay and we had to call them after twenty minutes of delay. The time was very strict as I had already booked cleaners to come for an End Of Tenancy and Steam Carpet Cleaning two hours after the moving. I can understand that 15 minutes or even half an hour delay can happen but two hours delay is unacceptable. 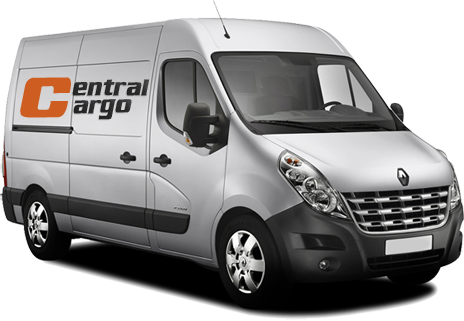 CMV response: If the Controller on the day had been made aware of this delay, he would have arranged for a replacement van to reach the customer sooner. However, this degree of lateness is unacceptable and the driver has been spoken to about this. The customer has been refunded as per our lateness refund policy. Great job. Arrived on time. Loaded and unloaded. No problems at all. 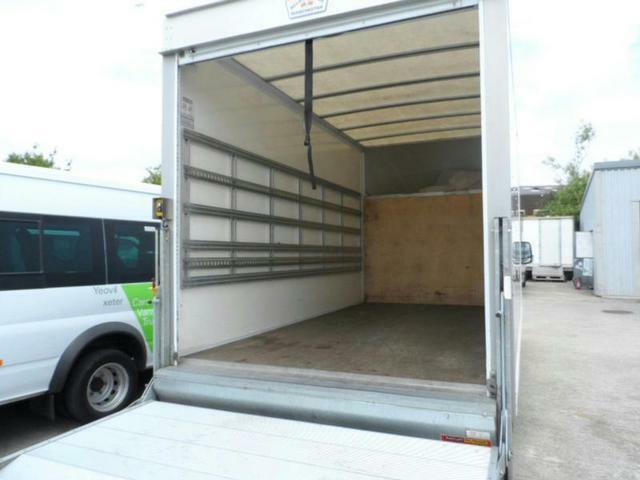 Both movers were very helpful, fast and efficient. The guys were pretty good. The only problem was they arrived nearly an hour late. Two strong guys - move finished quicker than planned. Very easy to book and pay. I booked three hours before the move. I like the comms provided by the website. Thanks! The driver was twenty minutes late due to heavy traffic, but called in advance to let me know. I BOOKED FOR 9.30; THEY ARRIVED AT 10.10. I ASKED FOR A SMALL VAN - I GOT A BIG ONE - VERY OLD = 14 YEARS (02 REG) AND HARD TO PARK. THE 2 MEN WERE WILLING AND WORKED HARD. This was the best moving experience I have ever had and I've had a lot. My wife is 5 months pregnant and it took all of the stress out. The guys went the extra mile and nothing was too much trouble for them. I tried to help and they wouldn't here of it. All done in half the time I thought it would take. Thanks for a great job done. They were excellent. Friendly, helpful and took care of everything. I would highly recommend. They were very helpful and made the move very easy for us! Highly recommended! Fantastic service. Will recommend to friends. This isn't the driver's fault, but I think both the driver and I were quoted two different prices, so I ended up being �2 short - though it isn't a lot, please can Compare the Man and the Van resolve this with them? They worked really hard and deserve the full amount. CMV response. The driver has been paid in full for this booking. Polite, fast and careful. Excellent all round. Arrived early and were friendly and helpful! Moving team were really courteous and got stuck in from the get go. Really impressed. Would recommend. The driver and helper were really helpful and professional. I would use them again. Very straight forward and reasonable in price. Extremely professional and efficient. We were very impressed and would certainly use again and recommend to family and friends. A 5/5 experience. They were both very nice guys and did not mind the stairs at all. They even dismantled a few things that needed to be dismantled and quickly remounted the furniture on arrival - very helpful, thanks! Excellent, I am very impressed. me they would be late. They were quick. Thank you so much for a smooth removal. Excellent experience and service! Thank you. The driver and the extra guy I booked were very very quick at packing up my things. Would definitely recommend them and use them again. Would have been good if they understood a little more English though as they didn't really seem to understand me. The driver was great. I have used them twice now and great service both times. Nice and quick, a smoothie move!!! We booked for only the driver to help so there would be room for the two of us in the van. The driver brought a helper and subsequently I had to pay for a train ticket to my new house (a slightly frustrating unexpected expense). The driver never apologised for this, which I also found unusual. However, they were very skilled at quickly loading and unloading the van safely and they knew the fastest route to the new house. It was nice and I'll definitely recommend this services. Very pleased with service definitely use again and recommend others. The guys were really helpful, carried or belongings carefully and worked really hard. Great job! That said, everything arrived, nothing is broken, they were efficient and friendly and very hard working, and very patient when they keys took a few(!) extra hours to arrive. We felt it was a very customer friendly and efficient approach making stress of the move easier.